Growing Nations is proud to announce the launch of its new look website. The new site has been developed by Growing Nations in conjunction with UK Web design company Adido. The web design package was very generously donated to Growing Nations by UK accountants Moore Stephens, thanks to their connections with Barry Mann, through the Hampshire Chamber of Commerce. 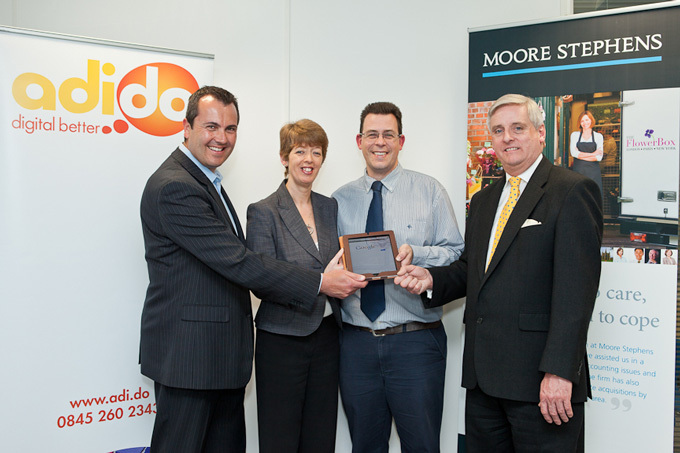 Prior to Barry & Heather Mann's departure from the UK to work with Growing Nations, Andy House, Adido (left) & Mike Rule, Moore Stephens (right) presented them with the web design package at Moore Stephens offices in Southampton. 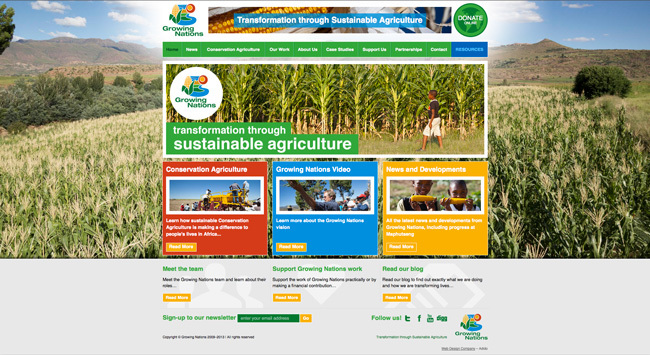 The site has been designed to reflect the vibrant colours of Africa & showcase the work that Growing Nations carry out in sustainable conservation agriculture in Lesotho & across Africa. Not only is the new site more user friendly but it also provides a better view of the work that Growing Nations are doing, including sections on their resident student program, the demonstration farm & agricultural research. Designed using Adido's Content Management System the new site allows easy updating by those trained on system. One of Growing Nations key aims is that the Basotho staff are trained and equipped by visiting volunteers who pass on their knowledge and are then able to stand back & allow them to run the project. Barry Mann is one such volunteer, and having been trained on system himself before leaving the UK, he will now be training the Growing Nations staff team to enable them to make future updates to the site.